Camden Council is pleading for stronger powers in order to deal with asbestos problems, and to deliver harsher penalties for people who neglect clean up orders. The plea emerged as the council currently pursues two homeowners whoit claims have thus far failed to remove asbestos that is exposed on their properties. The council has been in contact with the Camden property owner since a house fire earlier this year uncovered asbestos. The council subsequently contacted the owner and their insurance company to have it removed. 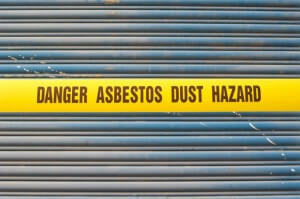 Mayor Lara Symkowiak said the council’s instructions for the asbestos to be removed have since been ignored. she did not deny the possibility of the council removing the asbestos and recovering its costs from the homeowner. “This is an extreme situation and is not council’s preferred method of dealing with the matter,” she said. 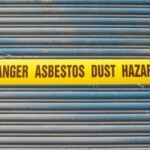 “The costs associated with the clean up of asbestos can be high and the responsibility for compliance should rest with the owner of the site. “Council is awaiting a response from the mortgagee for the supply of specialist reports undertaken as part of the investigations on this site to gauge the extent of works that may be required, should the work not be undertaken in the immediate future.